In our natal chart, the Moon represents our deepest emotions and how we put them in the way we express ourselves. It is important to know the positioning of your Moon to know more about our relationships. Let’s learn how Moon in Pisces is. Moon in Pisces is ruled by element water (just as Cancer and Scorpio) and the planet Neptune. This is an extreme powerful combination since the Moon has a big energy by itself. Neptune is the king from the depths of the ocean and this is how these people are: deeply emotional. The taste for the occult of life is inherent and irresistible to them. They have a very special way of dealing with feelings and putting them in the world. Mystics in every act, they look like witches who get in the air what no one else notices. Unusual sensibility makes Moon in Pisces a sponge. They absorb everything around them and have to be careful about the energy of the people and places they go to. They are both sensitive and intuitive, often with “voices” in their head. Not that they are crazy or something like this, but there is greater contact with the Divine that sends them signals and these are readily received. Like a direct line of dreams, sensations and premonitions. Pisces energy water is flowing. It is okay to adapt to new situations and new ways of relating. Often these people are seen as merging with each other. And because they have a dreamlike characteristic, they run the risk of losing their own personality in a relationship. Moon in Pisces must beware of the susceptibility in exaggeration. Being a chameleon is a gift, but getting lost amid so many opinions and feelings is not so good. Do you know those people who are often distracted in their thoughts? They are like that. And sometimes the thoughts are so deep and existential that they can become confused and depressed. The best thing to do is to let this water run and try to be firmer when the tsunami passes. If the person has some other positioning on an earth sign, it will help. If not, pay attention to how you can evolve. This will be no difficulty for a being with such a capacity for learning. Everyone knows someone who lives to help others, forgetting oneself. Sweet in their actions, Moon in Pisces is incapable of doing harm to anyone on purpose. They are always ready to listen and welcome those who suffer, becoming more than a friend. They tend to be a father or a mother to those who surround them. With this so selfless vibe and wanting to fix what is wrong in the world, they will attract and be attracted to people who have a dubious character or some addiction to alcohol or drugs. Even unconsciously, they believe their kindness and effort will change the other. And this is a very dangerous facet, after all no one should carry a weight that is not yours on their own back. It is good to always be aware of intuition and always return in that direct line with the Divine to protect yourself from evil. Moon in Pisces has no difficulty in relating to others, quite the contrary, they long to do so. Make sure the other has the same energy as you before diving head first. Romantic, passionate and dreamy, when they find the perfect match they will not strain their efforts to show how much the other is loved. Their gestures are delicate and even their voice may be sweet. Whoever has Moon in Pisces is certainly a special being. 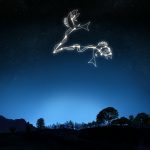 Sun in Pisces: what does it mean?